Jane spent the first 16 years of her career in the marketing departments of blue chip corporates (Nationwide Building Society, Merck & Co, Northern Bank) in the UK where her special interest was in marketing planning. Following that Jane worked for a time as a consultant in the education sector in Northern Ireland, advising on the re-launch of a secure learning platform throughout the Northern Ireland Education and Library Boards. More recently Jane has mentored various SMEs and start-up businesses helping them to identify their business needs and formulate business/marketing plans to take advantage of opportunities available to them. She has also been an Agri-Business Mentor with the Countryside Rural Partnership since 2012. 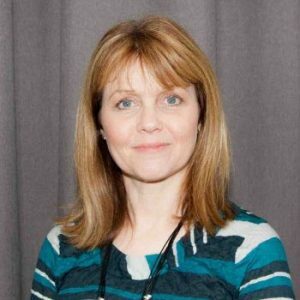 In 2012 Jane was appointed as a tutor for The Marketer’s Forum, delivering three modules of the CIM Professional Diploma – Marketing Planning Process (MPP), Managing Marketing (MM) and Project Management in Marketing (PMiM). Jane also tutors MPP and MM assignment students for the Oxford College of Marketing. Jane has a particular interest in the charity sector and has worked with a number of charities, both as a mentor and as a trustee.